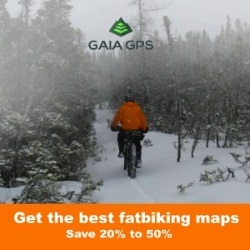 The white beast has been in the Fatbike Republic stables for several months now. After having oodles of quality time in the snow, it was time for a review. Be sure to check out the video below. 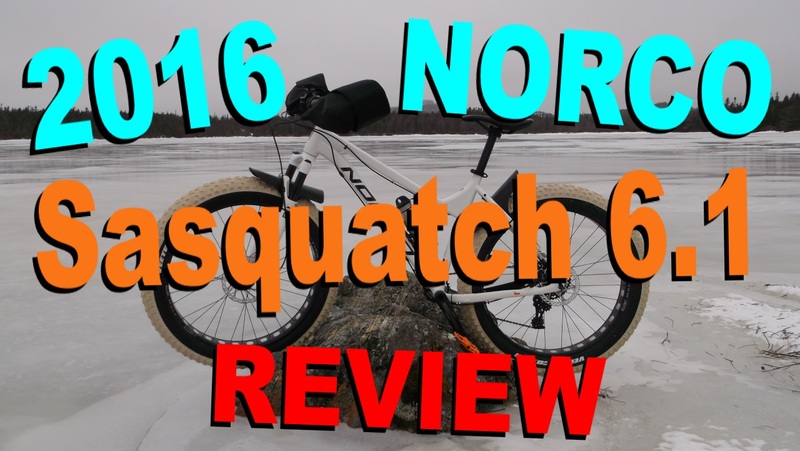 The 2016 Norco Sasquatch 6.1 is the flagship of the Norco 2016 fatbike line-up and is available in many colours . . . as long as you choose white. As the specs were touched on in the Sneak Peek, and you can easliy see them over on the Norco site (detailed specs) I'll get right into the pros and cons. 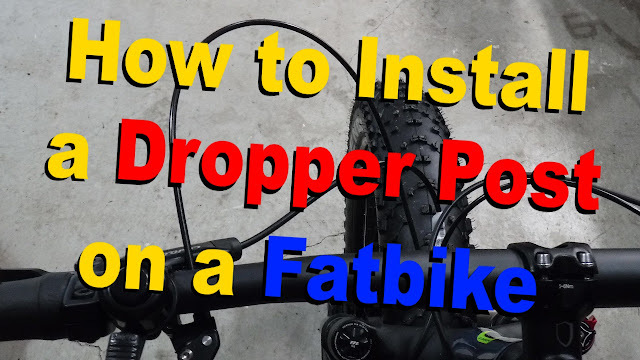 197 mm rear end with 12 mm thru axle will accomodate just about every fatbike tire on the market. 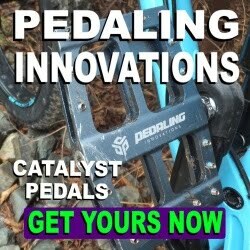 GX1 11spd drivetrain is amazing. There are plenty of gears, it shifts quickly and precisely, and the rear derailleur has a lockout button that makes tire changes a breeze. SRAM DB5 brakes (180 mm front rotor 160 mm rear) stop the bike quickly. Bluto soaks up the rough stuff and will really earn its keep when the non-snowy season starts. Norco seat is relatively comfortable. Nice sprinkling of Race Face. Welds on the chainstays. 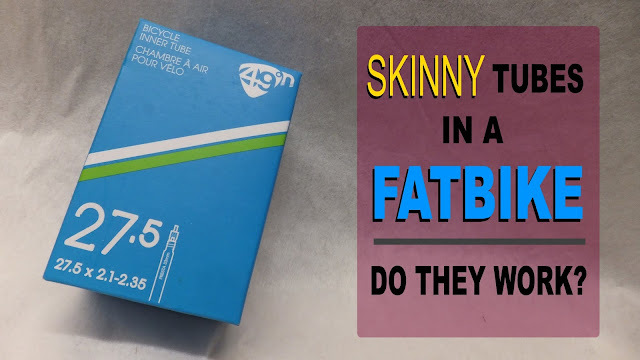 They are structurally sound, but could be cleaner on Norco's top shelf fatbike. Grips. 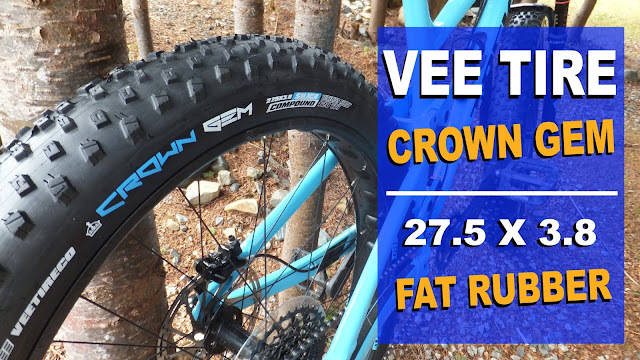 Some sort of lame foam type material that do not look friendly for four season fatbiking. They disappeared before the bike left the LBS shop floor. Bluto is a 100 mm. A 120 mm would have been super. Rim strip. If only ridden in snow it would be fine. But for something that will be spending a lot of time in the dirt another colour would have been better. 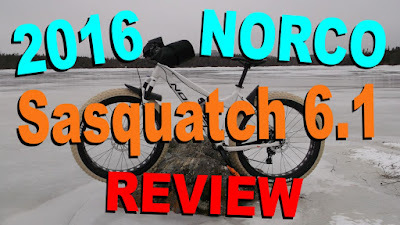 Overall the 2016 Norco Sasquatch 6.1 is a very fine fatbike. It has a great mix of components, is aesthetically pleasing and is fun to ride. I'm looking forward to many a trail ride on the white beast. I suspect that the original hand-grips are for winter riding. If you'd stuck with those grips you probably wouldn't need the koozies, since foam grips insulate your hands from the heat stealing metal handlebar. I use foam hand-grips for winter riding without my hands getting cold, have ridden down to -28°C. They did resemble pipe insulation, so I guess they would be better for winter. I just found them really odd. Great review - out of curiosity what brand/size did you use for the chainstay protector as it looks pretty good? Thanks Steve. Nukeproof from Chain Reaction. Thanks for that - any chance you know the size as it comes in Medium (120 x 240) and Large (135 x 240). 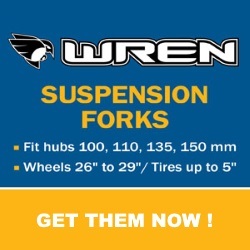 From this review i went out and ordered the bike and now trying to order a few bits before it arrives! Don't know. I'll pop it off and measure it.